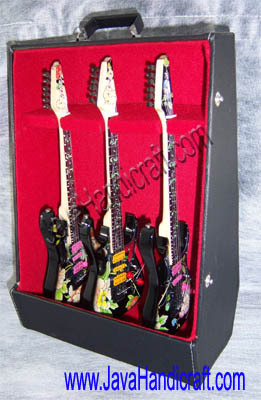 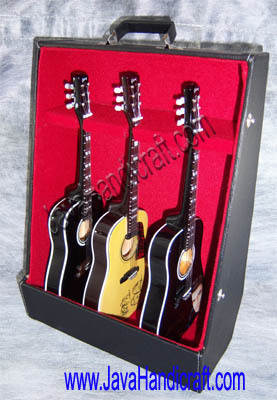 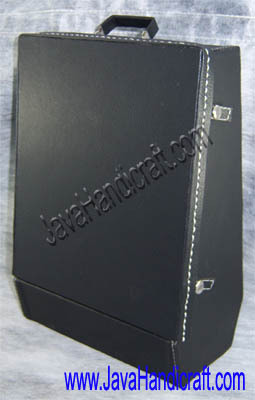 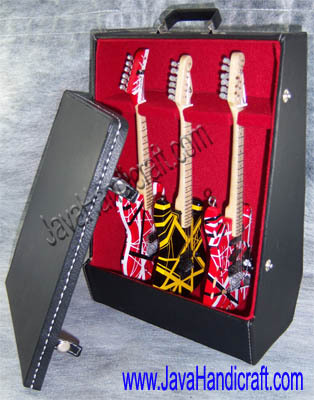 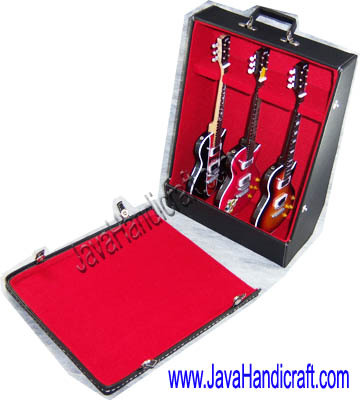 The box guitar case have room for three miniature guitars. 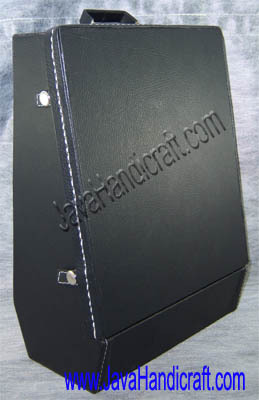 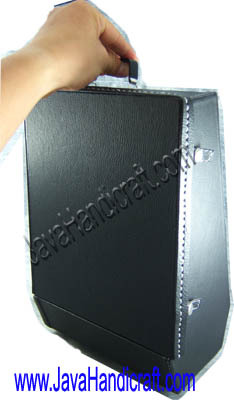 Interior color available in Black, Red or other colors as you want to order. 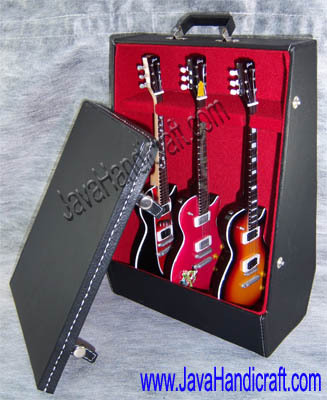 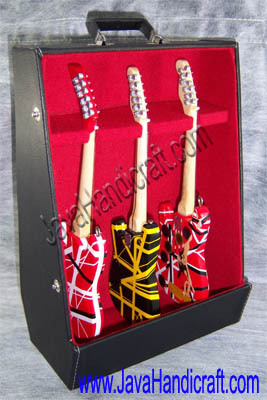 Great Gift for your lover and easy to carry 3 miniature guitar to everywhere!